Registration for the 2019 Bring the Heat Icebreaker, River City Classic and Sussex Tournaments are now open! subscribe below to get notifications by e-mail. Kamloops Minor Baseball provides first class single site/multi-division tournament hosting to a point where we are the most desirable tournament provider in BC, Alberta, and all of Western Canada. Registration must be completed Online and will open on January 1st. Online payment is encouraged. Securing a spot is based on when the payment is entered into the system. When paying by cheque, you run the risk of a subsequent online payment being confirmed ahead of your team while your cheque is in the mail. Once each division spots are filled, there will be a waitlist. Our tournaments fill up fast. No team will be considered registered until the funds have been received. Please note that all refunds are subject to a $25 administration fee. This year for the Sussex All­star tournament we will also be allowing merchandise vendors to set up tents to advertise their business. If you have a business that would be interested in this unique advertising opportunity, which would have exposure to 42 teams consisting of hundreds of athletes, parents and coaches over the long weekend, do not hesitate to contact Sean Wandler at sean@kamloopsminorbaseball.ca or 250­574­3990. Food vendors are not eligible. KMBA would like to offer teams a great way to find accommodations in Kamloops. As the Tournament Capital of Canada, Kamloops often sells out of hotels during the spring/summer season, therefore we have secured preferred room rates for registered teams for all tournaments. The CSTT Sports Group will help take care of your hotel booking needs, please follow the links below, or contact Jessica at 1-866-861-8326 to book your team rooms today! If you are no longer the contact person for your association it would be appreciated if you could forward this information on. Looking forward to seeing you in 2019! 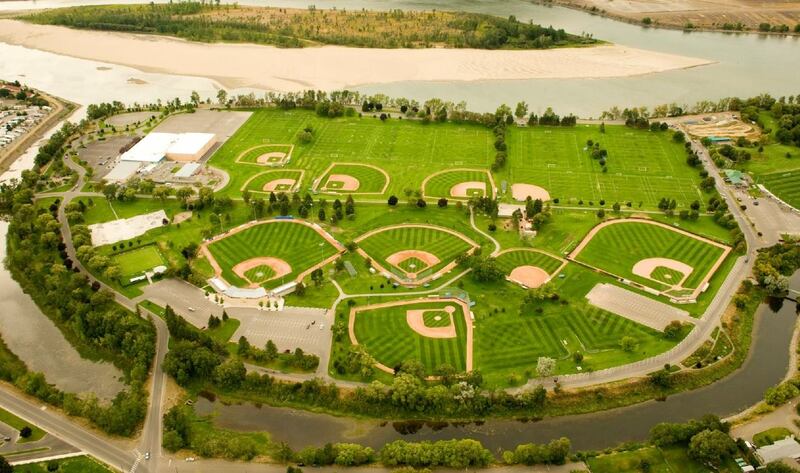 "KMBA offers the best baseball tournament experience you can find in BC and Alberta." "We wouldn't change a thing. The location (baseball everywhere) is a beautiful venue." "The best part of playing in a KMBA tournament is the friendliness and helpfulness of everyone I came into contact with." "Great communication all weekend. Volunteers and even umpires were professional and fun. We will definitely come back."